It's no secret that I like white, actually I love white! I've painted more than a few spaces in white – top to bottom. I find white is a great backdrop and lets the art, rug and furniture shine. 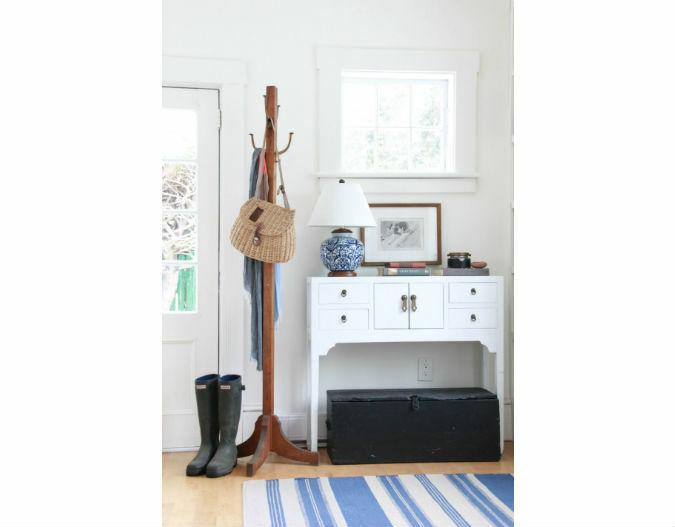 Here are a couple of small vignettes with white, showing how nice it can work to show case the items in the space.